Flourish TMS Center - for depression and other brain disorders. More than Hope. Remission from Depression is Possible. If you have tried multiple anti-depressants with inadequate results, OR if you prefer a non-medicated and non-invasive treatment for depression without the harsh side effects of drugs, then dTMS (Deep Transcranial Magnetic Stimulation) treatment may be for you. A targeted brief magnetic field stimulates relevant prefrontal depression sites consistently without hospitalization, anesthesia or sedation as you remain awake and alert during the treatment. Side effects frequently experienced from antidepressant medications such as weight gain, sexual dysfunction, fatigue, etc. do not occur with dTMS therapy. Each session lasts only 20 minutes and can be completed during your lunch break or right after work. dTMS sessions are generally much shorter than conventional rTMS. You can regain well-being, peace and happiness in just a few weeks. Currently, FDA has approved dTMS only for the treatment of major depression that has failed to benefit from medication and psychotherapy in adults. However, dTMS has been used in studies and to “off-label” treat many other conditions including generalized anxiety disorder, PTSD, OCD, ADHD, autism, body dysmorphic disorder, addictive disorders, eating disorders, bipolar disorder, auditory hallucinations and negative symptoms of schizophrenia. 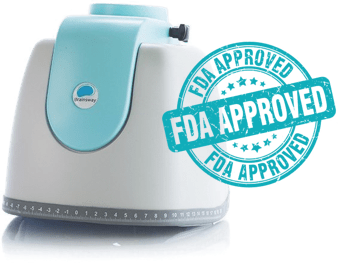 In addition, dTMS has been used for the treatment of a number of neurologic disorders including migraine, chronic neuropathic pain, Parkinson’s disease, chronic fatigue from multiple sclerosis, and even assessments of the integrity of corticospinal tract of the spine. The first session may take up to one hour as the doctor obtains measurements that will be used throughout the course of treatment. Subsequent sessions last about 20 minutes and are administered by a trained dTMS technician. Of note, dTMS sessions are usually much shorter than conventional rTMS. After each session is complete, you can return to your normal activities and do not need to be accompanied by anyone to leave the office or to drive. Treatments are typically administered 5 days a week for 4 to 6 weeks, but this can vary depending on the situation. dTMS therapy was tested in patients who did not respond to at least one antidepressant and was determined effective even for patients who failed to benefit from several previous antidepressant medications. Furthermore, dTMS therapy restores the neuroplasticity to the parts of the brain that many brain disorders, such as depression, destroy over time. When the brain’s neural synapses and pathways regain normal function, depression is cured. What is is Deep Transcranial Magnetic Stimulation (dTMS)? dTMS uses an electromagnet, similar to what is used in an MRI scanner, to provide a medication-free, non-invasive treatment for depression and other brain disorders. 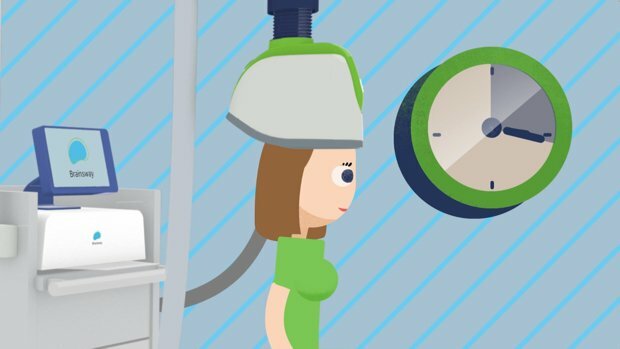 The magnet is gently placed against the scalp and targets the left dorsolateral prefrontal cortex, the part of the brain that is involved with mood regulation. This part of the brain is less active due to depression. As this magnetic field travels into the brain, it produces very small electrical currents activating neurons within the brain to release neurotransmitters like serotonin, dopamine, and norepinephrine—the same neurotransmitters that are provided artificially through antidepressant medications. dTMS is able to provide these neurotransmitters directly to the brain, essentially solving the problem at the source with zero systemic side effects. Great doctor! Very patient and makes you feel comfortable. He has helped me get my life back and feel good again. Everyone in my life has seen a change and it’s all thanks to Dr. Bryant! I have a very complicated history, and the doctor listened, taking his time. He asked all the right questions. My God, I made more sense to me after I left! I could see how a missed diagnosis for over a decade has led to many problems and multiple hospitalizations. He was also so non-judgemental. I really appreciate his bedside manner. Dr. Nicholas Bryant was great and made my transition from New York City to Texas very easy. I love this Dr.! He is so genuinely caring and really tries his best to help you. I just started treatment recently but already feel capable in his hands. He doesn't rush you in and out like other DR.'s and is very knowledgeable about all areas of health..
Great doctor. so smart and professional. office was easy to find and had accessible parking. feel very, very fortunate to have found dr. bryant. &commat; 2019 Flourish Mental Health. All right reserved.